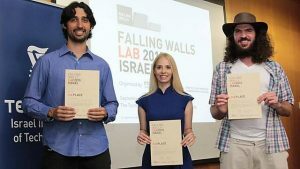 Shani Elitzur, a doctoral student at the Technion Faculty of Aerospace Engineering, won first place in Falling Walls Lab Israel, which took place at the Technion on September 3rd in cooperation with the Hebrew University. 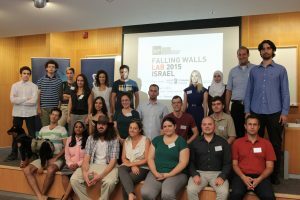 Falling Walls Lab is an international competition intended for students and young (up to age 35) faculty members, entrepreneurs and industry members. Contestants are required to present a business model, research or unique pioneering idea within three minutes. 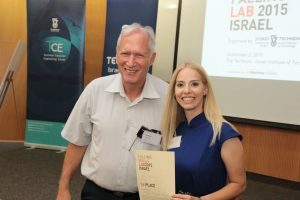 Rafi Nave, head of the Bronica Entrepreneurship Center at the Technion, explained that the competition is currently held in around 40 cities worldwide, and that the winners of the local competitions will participate in the final to be held in Berlin on November 8 this year. 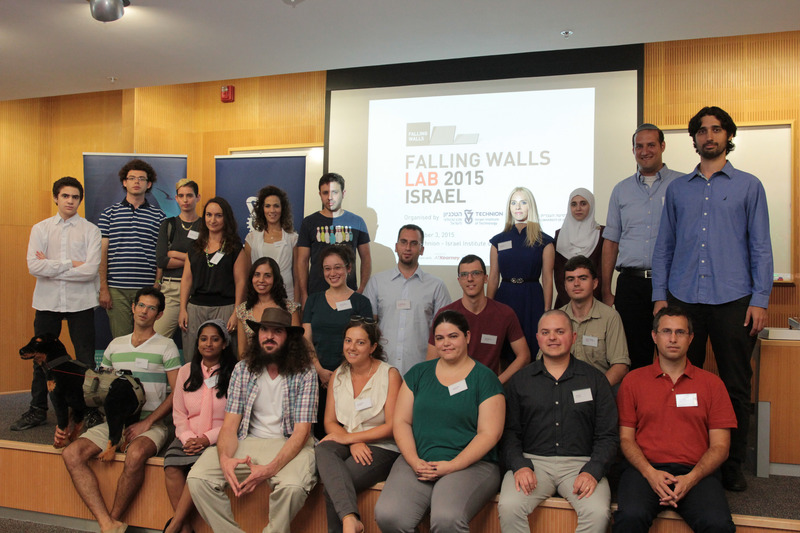 The national competition held by the Technion and the Hebrew University on Thursday was the first Falling Walls event in Israel. Technion Senior Executive Vice President Prof. Moshe Sidi said: “It is no wonder that the Technion, which has been striving for innovation since its inception and is a key element in the creation of the Israeli start-up nation, is hosting the first Falling Walls event in Israel.” The competition was hosted by the Technion Computer Engineering Center (TCE), which deals with the active dialogue between applied research and industry. It was held in cooperation with the Hebrew University, which will host next year. In the second place Or Yahalom from the Hebrew University, presented a development enabling plants to “breath” the nitrogen in the air, thus eliminating the need for farmers to introduce nitrogen into the soil by the means of fertilizers. In the third place Oren Miron from Bar Ilan University and Ben Gurion University described development of an innovative method for diagnosing autism in the early months of life. As stated, the three winners will represent Israel in the international finals to be held in Berlin on November 8. Additional developments presented by candidates in the competition include extending the shelf life of food products by the means of a substance that prevents the accumulation of bacteria on the package; a system that enables dog owners to control their pets without the need for a leash; improving the resolution of MRI scans; a virus-based alternative to antibiotics; making algorithmic forex trading accessible to the general public; and customization of anticancer drugs. The judges in the competition, which was organized by the Bronica Entrepreneurship Center and the Technion Computer Engineering Center were: from the Technion – Prof. Eliezer Shalev, Dean of the Rappaport Faculty of Medicine; Prof. Ben-Zion Levy, Dean of Graduate Studies; Prof. Orit Hazan, Head of the Faculty of Science Education and Technology; Prof. Eli Biham from the Faculty of Computer Science; and Professor Noam Ziv from the Faculty of Medicine. Judges from the Hebrew University – Prof. Nir Bar-Gil from the Department of Applied Physics and Professor Hezi Bernholz from the School of Medicine; The industry representative was Ayal Bar-David, former CEO of Qualcomm Israel.